Protesters clashed with police in Madrid as thousands of people trekked across Spain to protest austerity which they claim is destroying their country. Under the banner "no more cuts!" the protesters called for an end to the government’s "empty promises." Police arrested at least 29 protesters following the clashes which took place after the march. According to emergency service, 101 people were injured - 67 of them police, El Mundo newspaper reports. Protesters were seen throwing stones and firecrackers at police. According to witnesses, officers used tear gas to disperse the demonstrators. Clashes broke out during a final speech at the demonstration when protesters tried to break through a police barrier. Riot police took charge by beating protesters with batons, AP reported. “The mass rally was coming to an an end when reportedly a group of younger protesters, who had masks on their faces, started throwing rocks at the police. Police tried to push them away from the parameter that they organized around this area,” RT’s Egor Piskunov reported from the Spanish capital. “I can confirm that there is very heavy police presence in this whole district. Since it is the center of Madrid, there are lots of luxury hotels in this part of town and security here is very tight,” he added. Six “columns” of trains, cars and buses, as well as bands of pedestrians have travelled from Extremadura, Andalusia, Valencia, Murcia, Asturias, Galicia and Aragon, among other Spanish regions, to converge on Madrid in mass protest this Saturday. The demonstration itself has been dubbed 22-M, Marches for dignity. 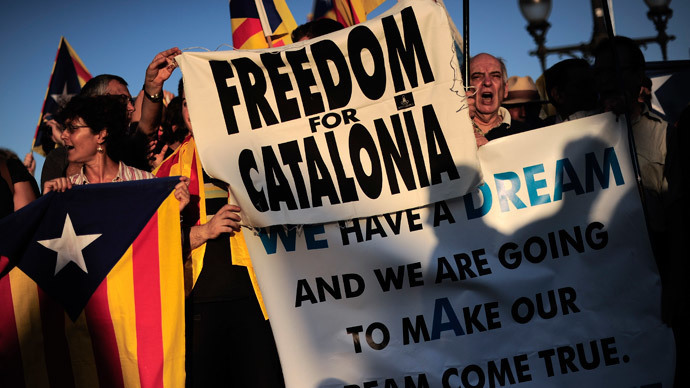 Eight groups of activists are expected to move into the Spanish capital at different points throughout the course of the day. As a precautionary measure, the Madrid authorities have closed roads in the center of the city and asked people to use public transport whenever possible on Saturday. 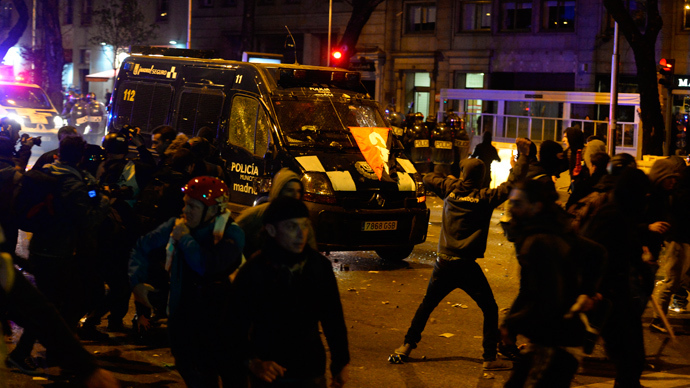 In addition, the Spanish authorities have deployed 1,650 riot police to keep the situation under control in Madrid. The protest movement is demanding an end to the so-called Troika-style cuts in Spain, more jobs and affordable housing. “Why am I here? I’m sick of this government. With all the promises they never fulfill. They said they were going to create more jobs and lower the taxes but it’s a lie! Instead, unemployment rose from 4 to 6 million. This is the only way we can fight back,” one of the protestors, who had been on the road since March 9, told RT correspondent Egor Piskunov. A large proportion of the protesters who have made their way on foot to the Spanish capital are unemployed and plan to camp in Madrid until their demands are met. 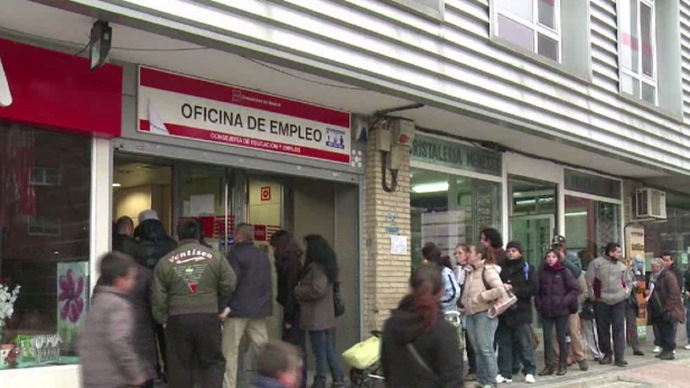 The number of evictions reached an all-time high in Spain in 2012 with over 500 a day, according to a report by the BBC. 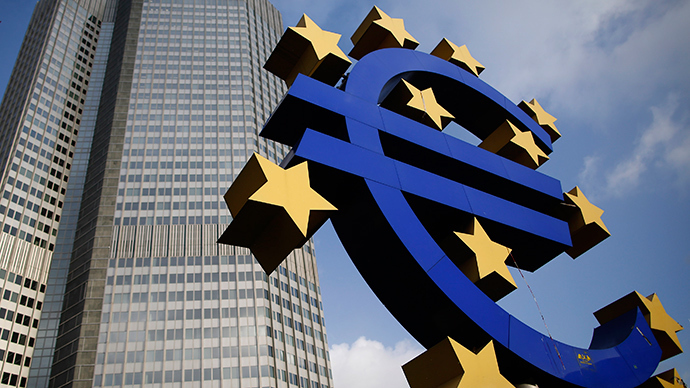 This combined with an unemployment rate of 26 percent, the second highest in Europe after Greece, has left many Spanish citizens with nowhere to turn. This is reflected in the growing number of suicides in the country, with the country’s National Institute of Statistics estimating that at least 8 people take their lives every day in the country. Pepe Caballero, one of the organizers of the protests said the Spanish government is trying to return Spain to the Franco era.